I'm a little late on this. Saw Steely Dan at the Lyric Theater in Baltimore a couple of weeks ago. The band was tight and professional as always. Donald Fagen's voice was in better shape than the last two times I saw them and he was quite personable and chatty with the audience. Jon Herrington was a standout covering all of those great Dan guitar solos, adding his own take while staying true to the originals. Drummer Keith Carlock is a beast, quite impressive. I missed Walter and as you can see in the picture, they had a mic where he used to stand. Cool. 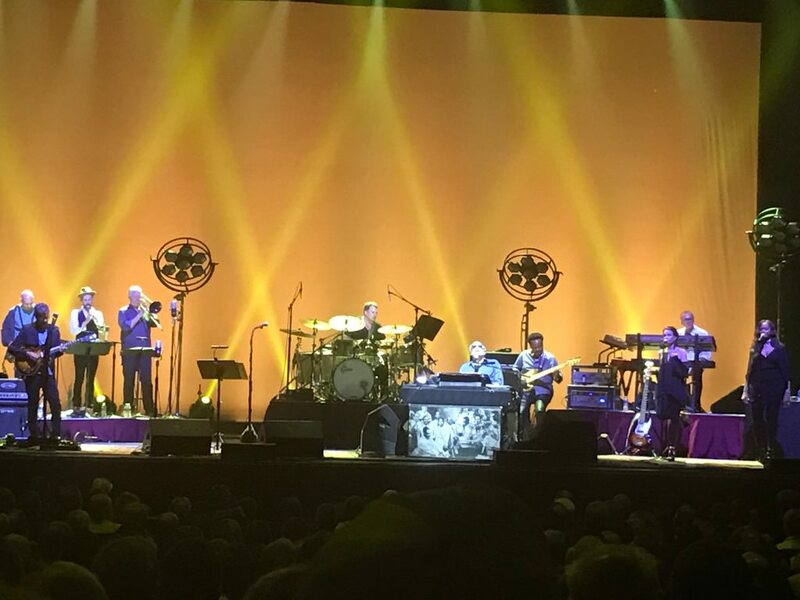 When I saw Paul Simon a couple of weeks ago I saw that Steely Dan was going to be at the Beacon soon. I was wondering how it was going to be without Walter. I'm glad that Donald didn't just hang it up with his partner gone. Their music is a rare gift to this world. Something about Steely Dan music always puts me in a better mood.